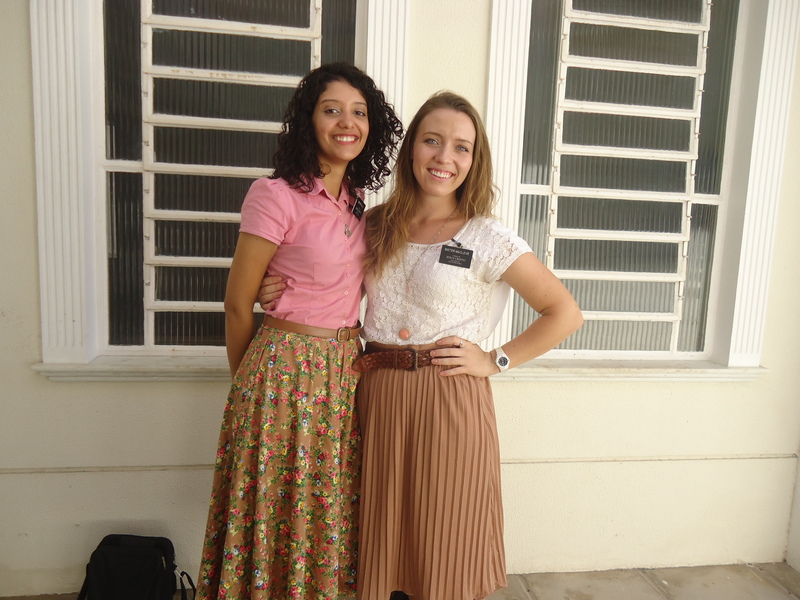 Sister McCleve is serving as a missionary for the Church of Jesus Christ of Latter-Day Saints for 18 months in Recife Brazil. She left in March 2013 and will be returning September 2014. Here you can read all about her experiences. 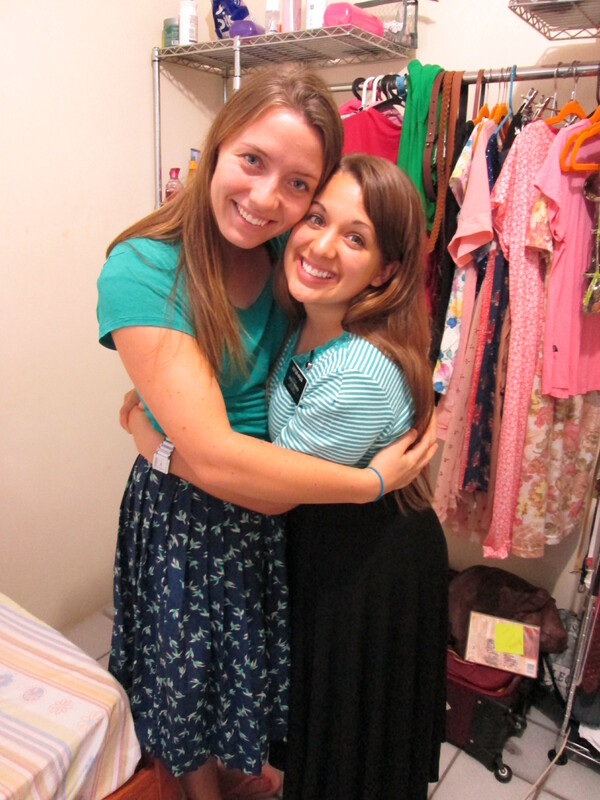 Click the Contact Sister McCleve link below to write her a letter/email! Oiiii familia e amigos tambem! Geoffrey happy 20th! PARABENS!!! I cannot believe my little brother is 20. And I’m 22?? Time fliesssssssss. This week was good. Not exactly fantaaaaastic but good. Sister Silva was sick with something in her throat. She’s been coughing constantly all week. So Sister Bigelow told us to try going to an UPA first (public hospital) to get it checked out since it wasn’t a huge deal but still bothersome. 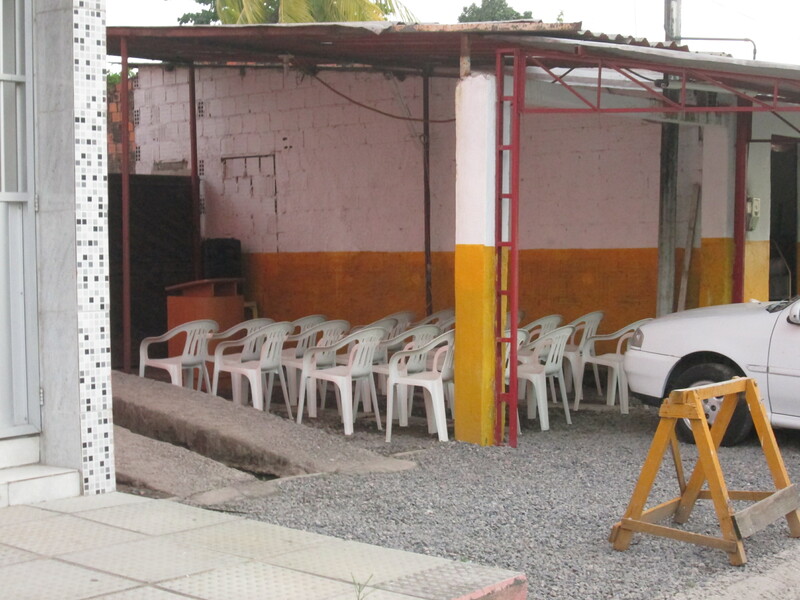 Well lets just say public hospital’s in brazil are something else. Hahah it was an adventure, made some good contacts though! 🙂 It’s cool doing things/going places that are not in the normal routine/schedule you have as a missionary. 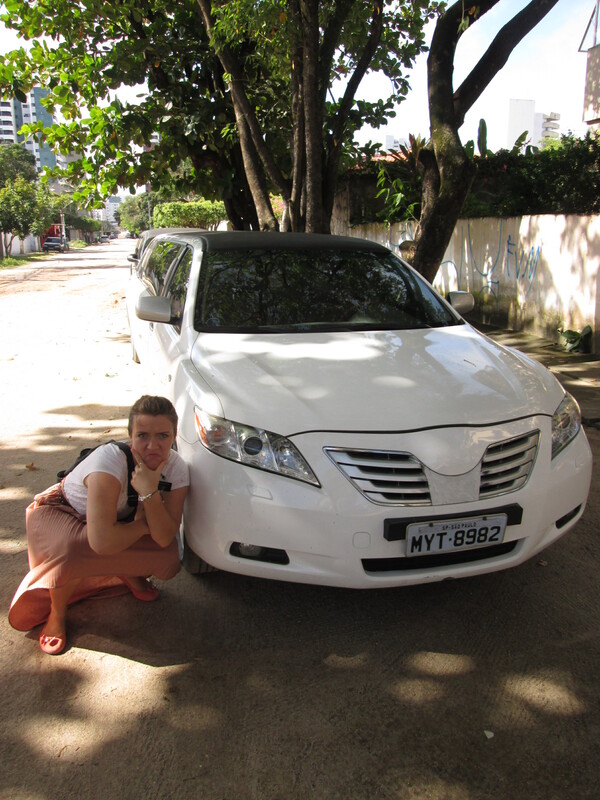 It’s a reminder that you are truly in another place…or in my case another country. Sometimes I forget that I don’t live here permanently-I guess that’s a good sign right? Lost in the work. 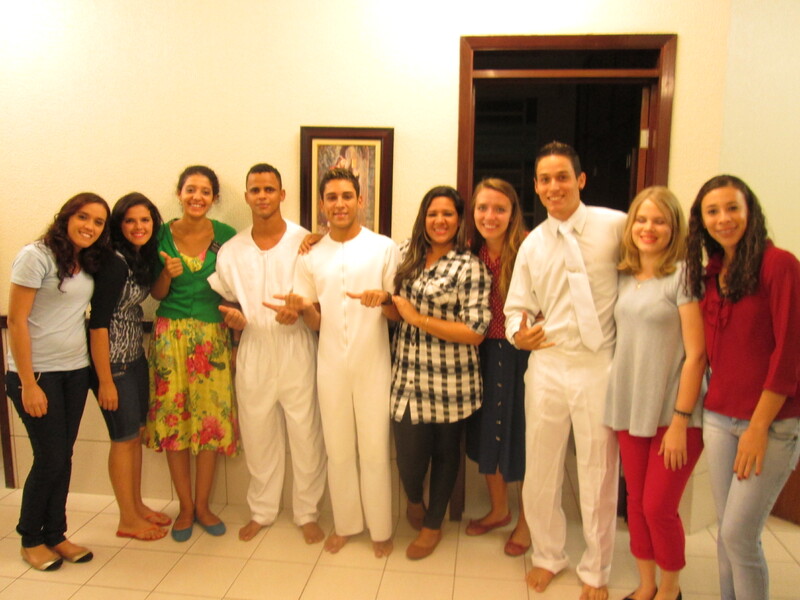 This week Manoel and Fabio both received the aaronic priesthood WOOOOOOOO!!!! Alex and Jociane went off to the interior for a wedding of some relative? He really wanted to stay but the family called and basically lectured them and so they backed out in staying at home for the weekend and left friday afternoon. Bishop was ticked haha because Alex was supposed to also receive the priesthood tambem. But he will next week! Update: Fabiana has recovered quite a bit but still hasn’t left the hospital, the doctors have said that this week she should be coming home. YESSSSSS. Also Fatima has been in the hospital with Fabiana so we haven’t been able to teach her for the past 2 weeks but Tito we’ve been following up with. He came to the ward talent show saturday night and loved it. He didn’t come to church sunday though because his injured toe was still super swollen and fatima had just returned home for the day and told him he needed to stop walking on it and stay home/rest. What happened to his toe you may ask? 2 Liters of coke. Haha seriously poor Tito was walking home with keys in one hand and a 2 liter bottle of coke in the other. Gets to his door, reachs up to unlock the lock and while awkwardly holding the coke bottle with his arm and trying open the lock the bottle slips out from his grasp and falls directly on his right big toe. 2 LITERS OF COKE!!!!!!! 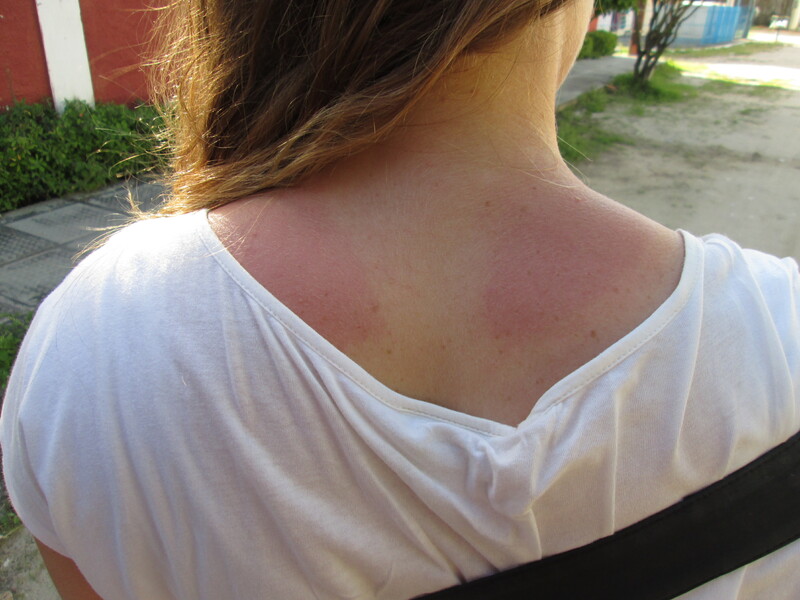 haha it was super purple and swollen. Actually his whole foot swelled up. So he’s taking med’s and taking it easy. Haha I love that guy. 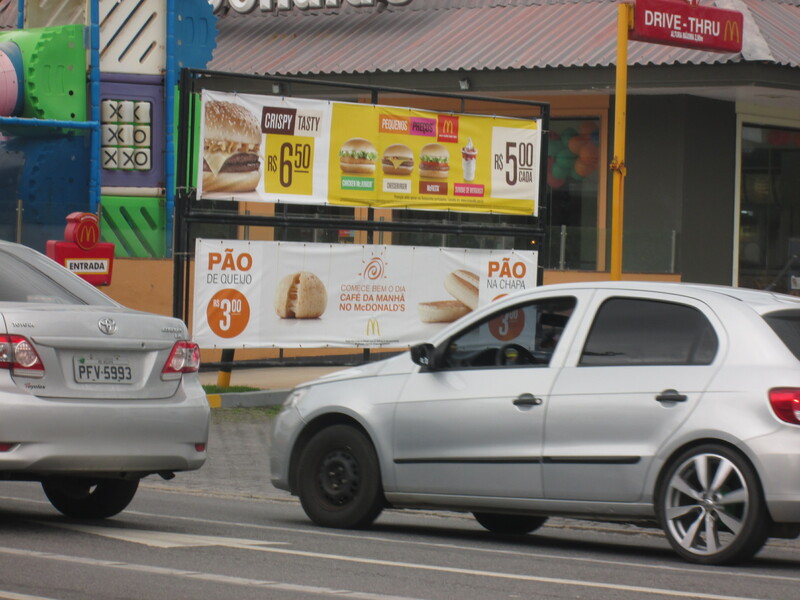 I just thought, as beloved as coke is to Brazillians…really you couldn’t have just set the bottle on the ground briefly??? 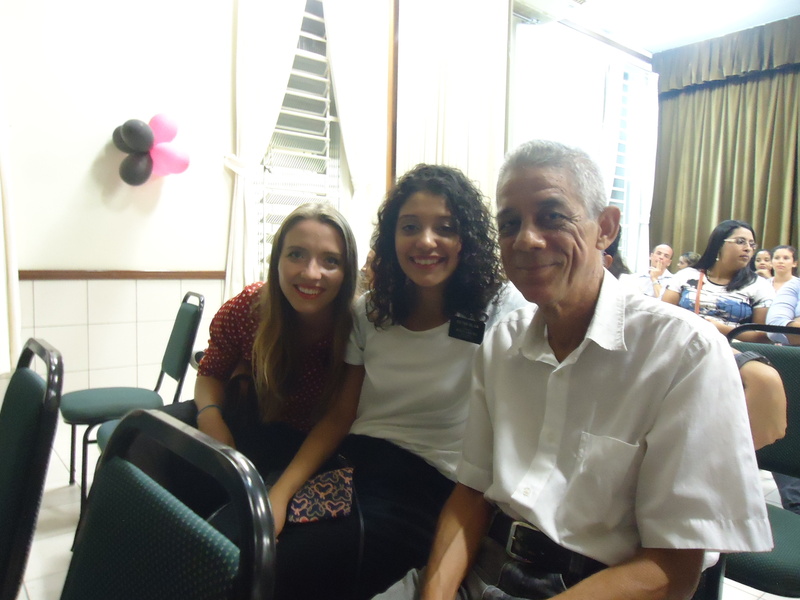 We’re also teaching Marcia (Manoel’s mom) and she is awesome, just has that whole “I want to take my time learning about this church….baptism is a very serious decision and should NOT be rushed…etc.” but the spirit’s working with her as is Manoel my gosh. That kid is A STUD! We finished teaching her the restoration and he grabs the pamphlet, opens it to the back and says “look mom, this box show’s you how to pray so you can get an answer that all of this is true” and then he read the bullet points with her haha I love that kid! He loves asking us questions about serving a mission. I am so proud of him, he will be AN INCREDIBLE missionary. He truly was converted through the power of the restored gospel that is centered on the Atonement of Jesus Christ. I cannot deny the truthfulness of this gospel that we teach and LIVE. I love it. On the other side of things, we’re struggling with building up our teaching pool trying to find new investigators. 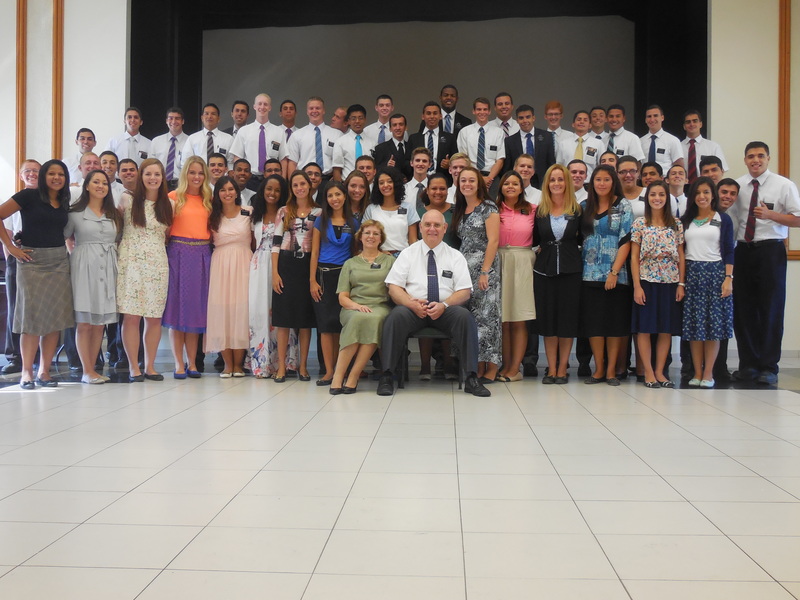 It seems like we have a billion recent converts but finding novos é dificil. BUTTTT the Lord will help us. I know we are needed to focus on Tito, Fatima and Marcia. Following up is soooo important. Anyways gotta run, I’ll send some photos. 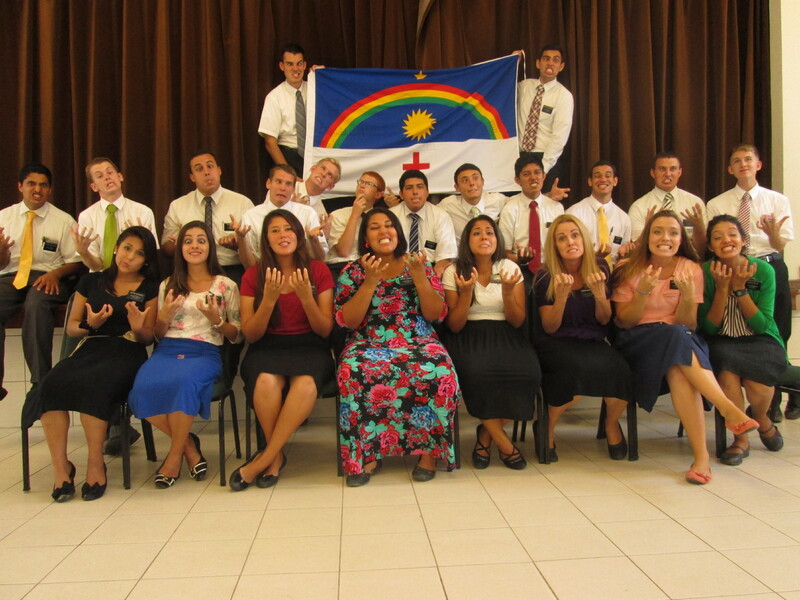 Love you allll, oh and next week we’re going to the temple! So I think we’ll be emailing quarta feira (wednesday) so hang tight until then. 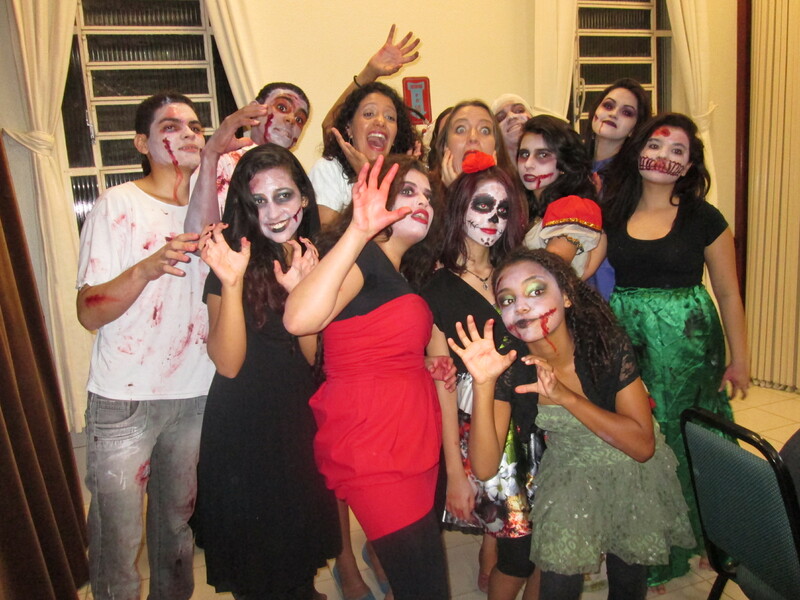 LOVE YOU ALL!!!!! LOVE THIS GOSPEL!!!! Tito and us at the talent show. to backstreet boys haha it was actually super sweet. 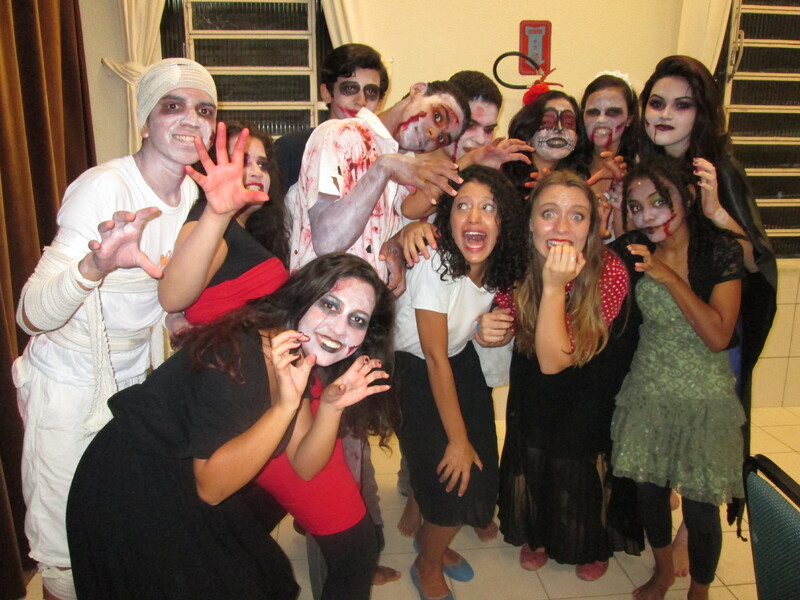 The YM/YW did a zombie dance for the talent show, to backstreet boys haha it was actually super sweet. Family prayer with the Souza family (alex and Jociane) David and Cecilia are so cute when they pray!!! Fam bam. Ah I sent a ton of pictures and read a lot of emails of everyone that’s coming home rapazzzz! Haha I got my flight itinerary today in my inbox-3 weeks already? What on earth? Where has the time gone? Gosh I love you guys! 🙂 I hope you all had a splendid week. This week was full of miracles. 1st of all we received a reference from the elders of a guy named Maoel. He’s 20, and is completely radiating the joy that comes from true repentance and a desire to serve God. He already wants to serve a mission. One time this week he asked…”sooo what would my last name be as an elder?” He was baptized saturday night and confirmed sunday. His sister and g’ma are members but his mae and other sister aren’t…..yet 🙂 we’re working on that 🙂 HE IS AWESOME!!!!!!!! Seriously he is a stud. So proud of him. 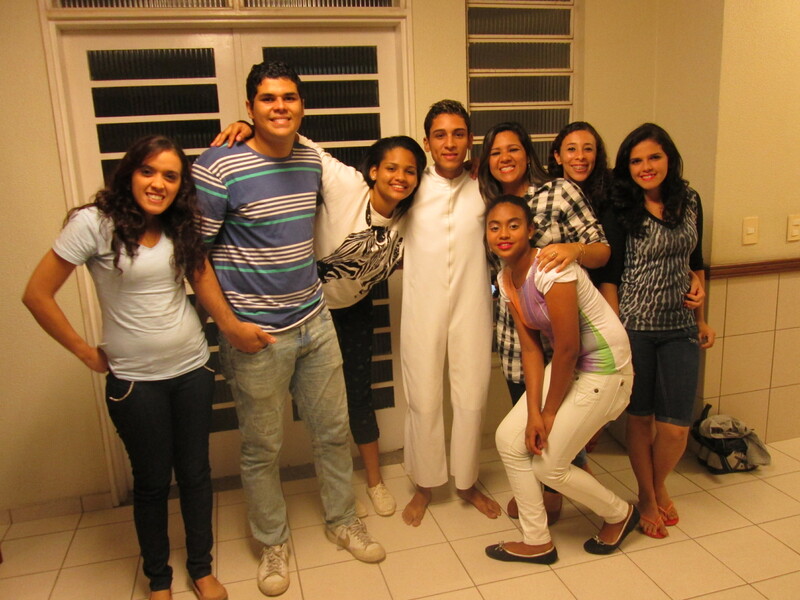 He invited like 1/2 the institute to come to his baptism haha there were 65 people there. Alex enters the room with a swollen lip, and a hugeee gash on his chin. “Well a few days ago I was working and I had stop to smoke. I went back to work soon after and as I was loading one of the carts of electric equipment the latch broke and the bar hit me in the face, right in the mouth, breaking some teeth and I had to go to the hospital get stiches for my lip and chin and since then I haven’t smoked. I’m pretty sure it was Heavenly Father giving me a smack in the head after I smoked that last cigarrete when I told you guys I wouldn’t smoke anymore”. He told us that he remembered setting a date with us to be baptized on the 23 of august. And told us that he wanted to be baptized on that date still. We go back tuesday night apparently there had been some arguing etc. and they tell us they want to separate. They were tired of each other, the love they had wasn’t there anymore etc. we talked about the importance of the FAMILY and read with them a little of the family proclamation. We shared our testimonies of the importance of families and Satan DOES NOT want us to be together forever. We then made the suggestion of going and talking to the bishop as a couple, which we thought they wouldn’t be willing to. But they agreed. 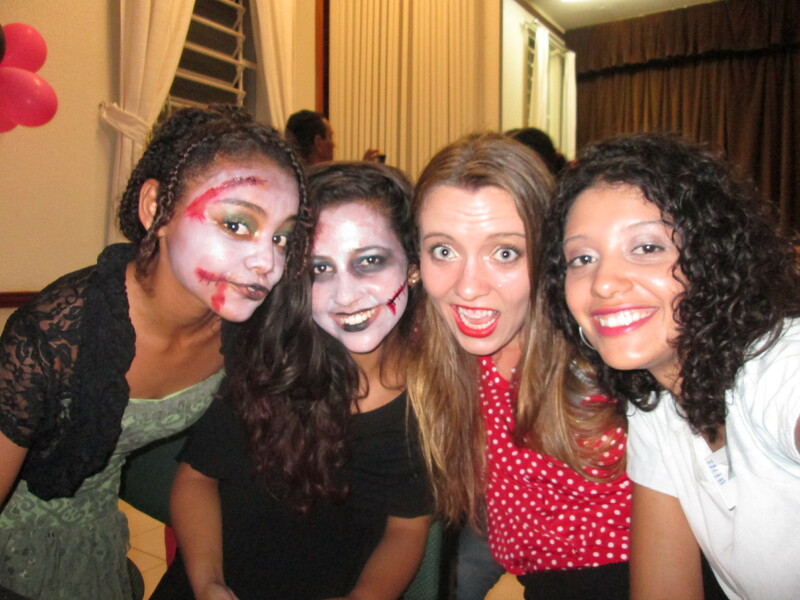 and the next night we went to church. 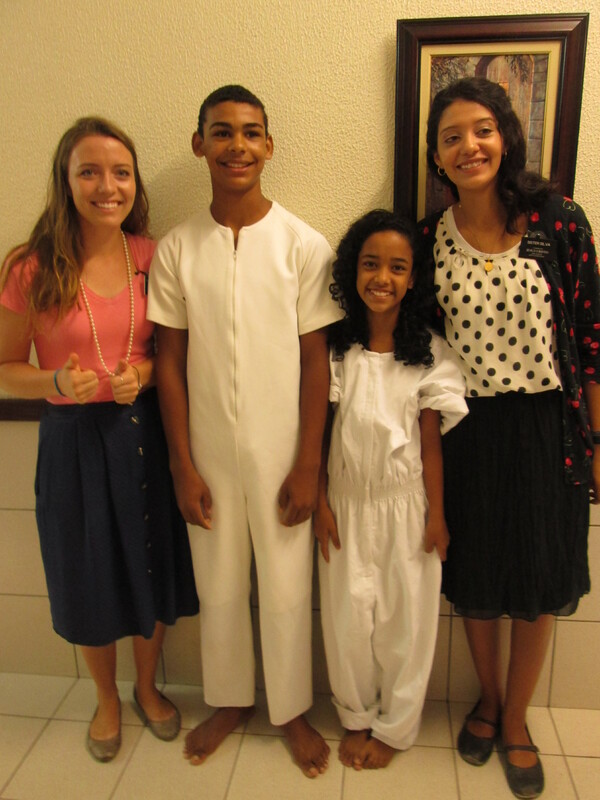 They had an interview with bishop (who is AWESOME by the way-I love the bishopric in this ward!-I love everyone in this ward haha) and they made goals with the bishop to be a stronger family and to help Jociane be a more active member of the church and help Alex to be baptized. I still don’t know how all of this happened over that last several days but it did. I think a huge difference is the union of the family. The fact that Jociane wasn’t super supportive in the past didn’t help Alex in trying to quit smoking, going to church etc. I’ve seen and learned that marriage takes work. On all fronts. Work to love, to have patience, to thinking about your spouse before yourself, work to listen with love, work to serve your spouse and SUPPORT them (HUGE). It’s possible with the help of the Lord, a relationship based on principles of faith, righteousness, forgiveness, love,prayer, learning by the word of God (scriptures, words of living prophets etc.). This is so crucial. No family is perfect, but a family that lives the gospel of Jesus Christ is blessed and strengthened above and beyond what most “strong families” have with out the gospel. I know this is true. I’ve seen this pattern in my own family and hundreds of others through out my life and specifically in my mission. The family is the central unit of the plan of our Heavenly Father. Family is everything. Done deal. Also-Saturday we went with some recent converts and investigators to the temple and Alex said “I love the way I feel here. I want to stay here”. 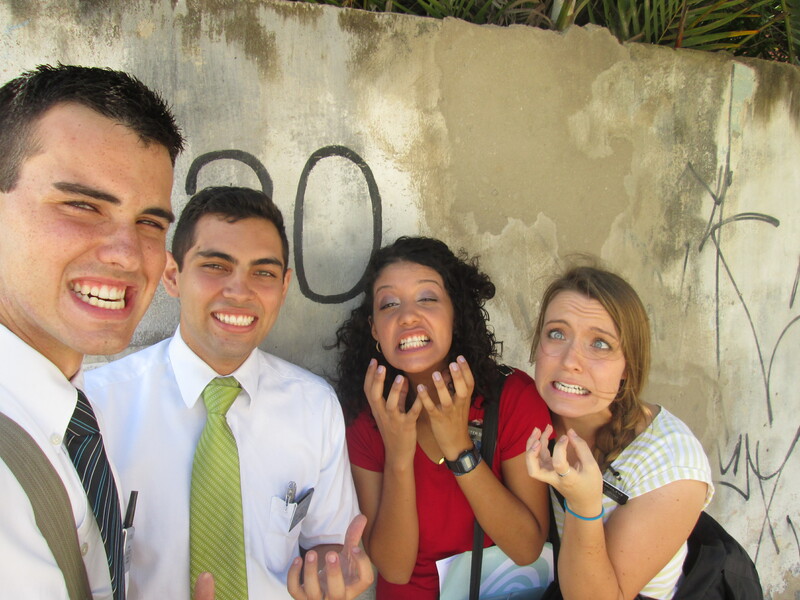 They will be sealed in the temple someday. Step after step. 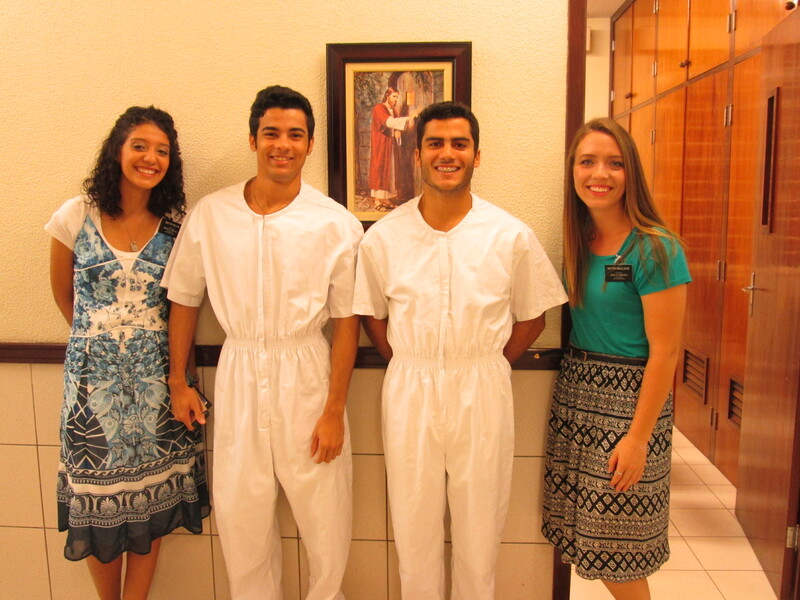 Sister Silva and I really are still in shock that Alex was baptized…his teaching record is over 5 pages long…and more than 7 sisters have come and gone to teach him. All I can say is that I feel EXTREMELY blessed to have been able to participate in inviting come unto Christ and to actually see Alex be baptized. It hasn’t been easy. The soon to be 6 months I have here in Candeias has been spent quite a bit in that house with this family that I love so much. But I know that the Lord is merciful and that this work is all on His time clock. I love you all, so much. 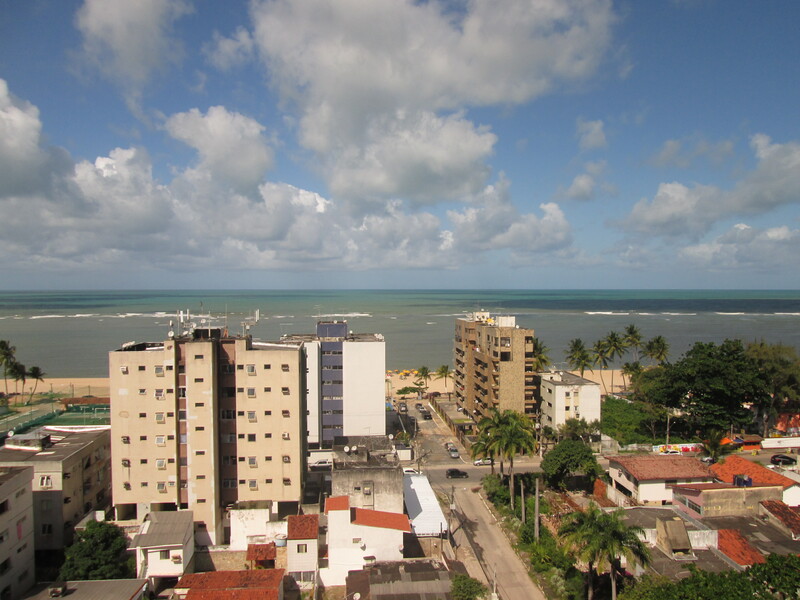 I know that the work I am participating in here in Candeias is the same work that is happening all over the world and on the other side of the veil. The work of salvation. I feel like I am making the smallest, tiniest, littlest difference in the grand scheme of the plan but I know that in the end it has a ripple affect that I can’t see right now in the beginning. 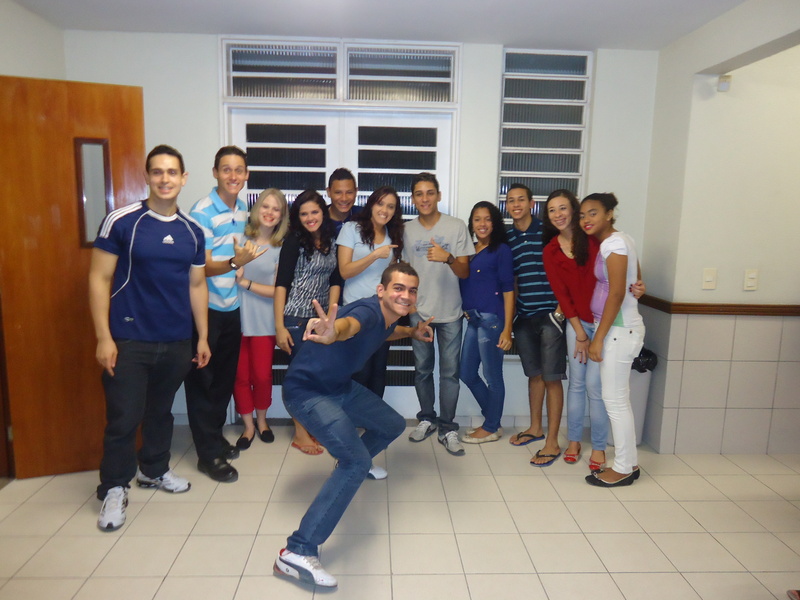 Manoel decided to invite his institute friends haha 65 people were there!!!! Hey familyyyy okay gonna make this quick. 1st of all we had a miracle/tender mercy baptism yesterday at 8:00 am before church! 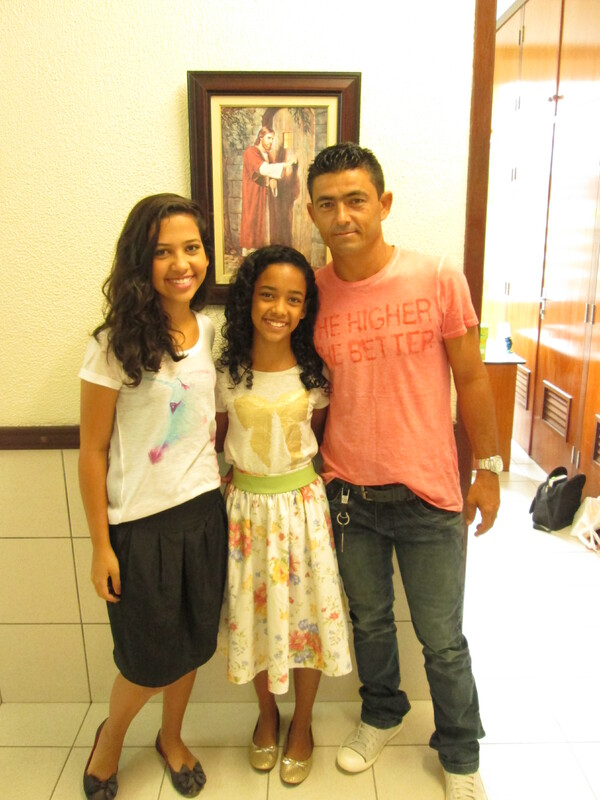 Evelyn is 11 and she has been going to church for 5 years now with her older sister who’s already been baptized. 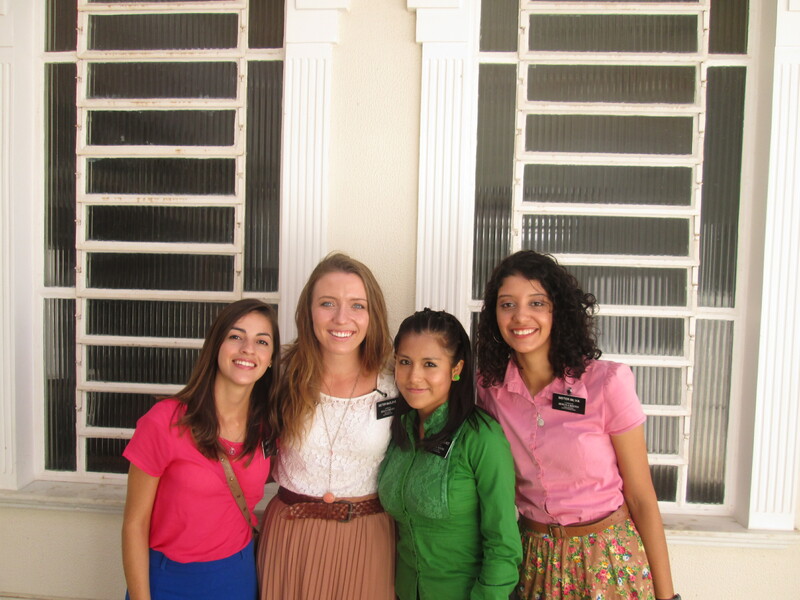 Her sister came up to us on sunday saying hey I want you guys to teach and baptize my sister. I didn’t even know Evelyn wasn’t baptized, apparently her mom didn’t want her to be until she was older and then once the elders (a while back our area had elders) started coming by trying to help her be baptized Ana (mom) got fed up and told them to not come back. I guess ever since Evelyn has just been patient and well, when we went there this week to talk to her parents they said she could be baptized. She will be turning 12 next month! Imagine going from primary to Young Women’s and not being baptized….strange. The baptism was awesome EVELYN IS SOOOO CUTE!!!!!! Her jump suit was a little big so we had to make some last minute adjustments but it was awesome. 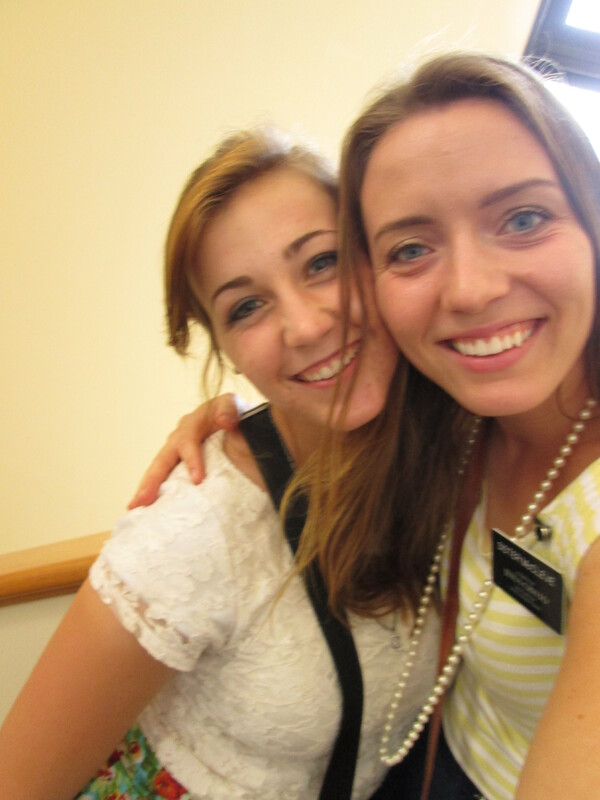 Her cousin who’s 16 baptized her (he was so nervous but excited). They are incredible these kids. None of their parents are members but they go(WALKING)to ALL the activities weekly, church every sunday 9:00 on the dot , they bare their testimonies on fast sundays etc. it’s incredible to see the faith and dedication these kids have to the gospel of Jesus Christ. It’s another proof to me that this is the true gospel of Jesus Christ. You don’t need to go because mom or sad said so, but because you WANT TO. Because you feel in your heart that it is right…a good seed 🙂 (alma 32). So Tito and Fatima are good except that they weren’t at church sunday because Fabiana (their daughter) is in the hospital with a urinary infection of some sort. So we don’t know if they’ll be going to the temple this week (the caravan was post poned for this upcoming week. But we committed them to be baptized on the 30th. They said if by that time they know that this is true they will be baptized. We’re praying for them. I so badly just want to hand them my testimony but I know I can’t…..the spirit will teach and testify to them in the Lord’s way and time. I just hope we can follow up with them, it’s difficult because they leave to go to the hospital to stay with Fabiana in the city and come back late at night or sometimes sleep over there. I know following up is SO important for helping investigators keep commitments. If we don’t follow up, the adversary will. Please continue to pray for them and their family.We taught Fabio yesterday and he should be receiving the Aaronic priesthood next week! 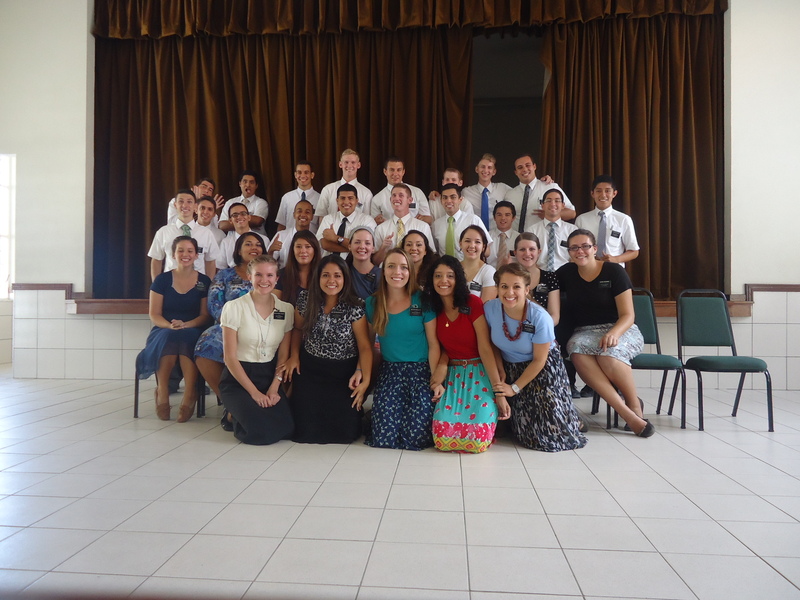 Sunday in gospel principles our teacher talked about missionary work/his mission. He asked me to share my thoughts about the mission…knowing that I’ll be finishing soon. It was so strange,surreal. But I was happy to share a little of what I felt with the recent converts and investigators in that class. I felt such a love for them. REally all of the members in this ward I love. I love Candeias, I know Heavenly Father put me here as my final area because boy am I happy. Speaking of loving the people, this week we did divisions with the STL’s and Sister Kron and are were doing a follow up and feedback session. She told me that she talked with the ZL’s about what she could do to help me on my last division/exchange. 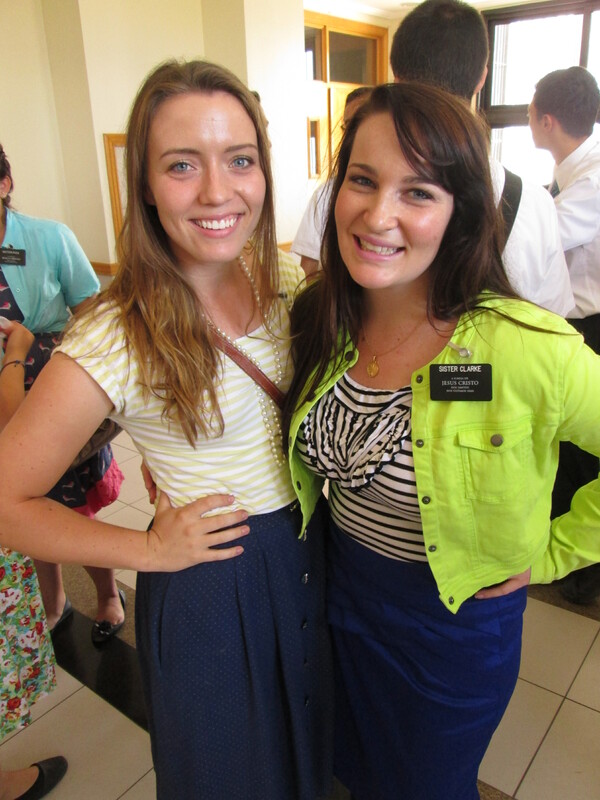 They said something a long the lines of “Sister McCleve is awesome, just help her be strong and not trunky like most missionaries going home and you’ll be fine” hahahaha. Afterwards she told me that she felt my love for the people I teach, sincere and full. 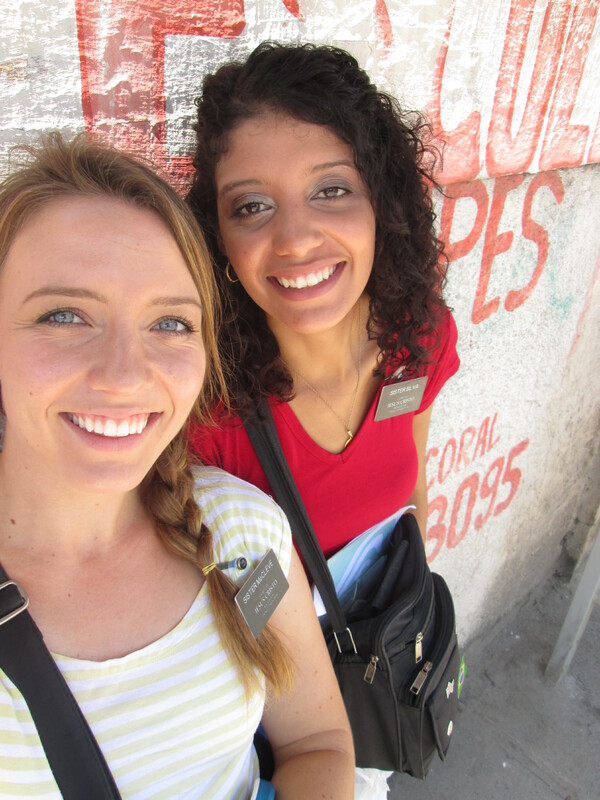 She said so often we hear missionaries that almost brag about how much they love people when it’s with other missionaries but when you’re IN a lesson with no one else…just you and the investigator that in that moment that love needs to be expressed/felt. I have prayed so hard through out my mission to develop this love and so often I feel like it’s not very strong but I don’t know…hearing sister Kron telling me that was an answer to a prayer for sure. I am glad to know that my efforts are making a difference. I often think to myself “Do my investigators know that I love them? That I love the Savior? 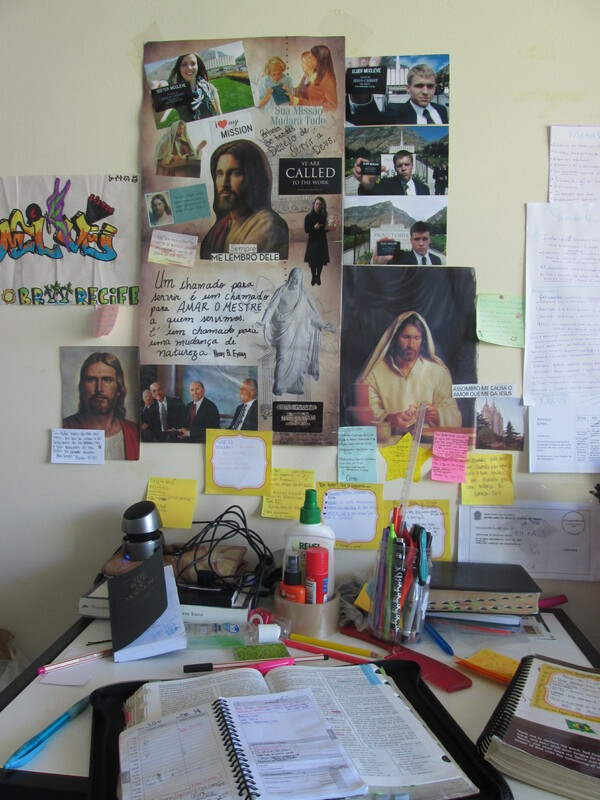 That I want them to know Him?” I want to leave this people with no doubt about my love for them and for this gospel. That I am sharing it WITH them because this isn’t about me, but having them enjoy the blessings that I already have. 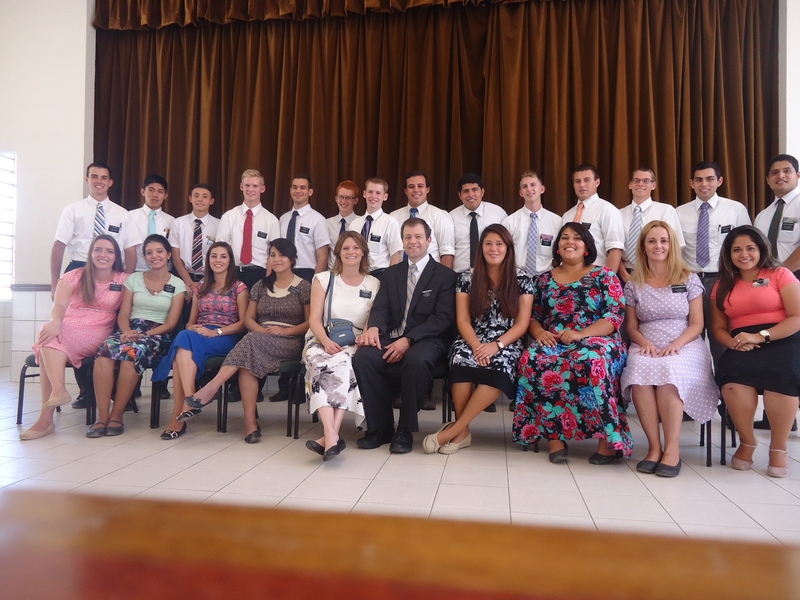 What is my motive for serving a mission??? My love for the Lord. Doing His will, by helping other people come unto Him. 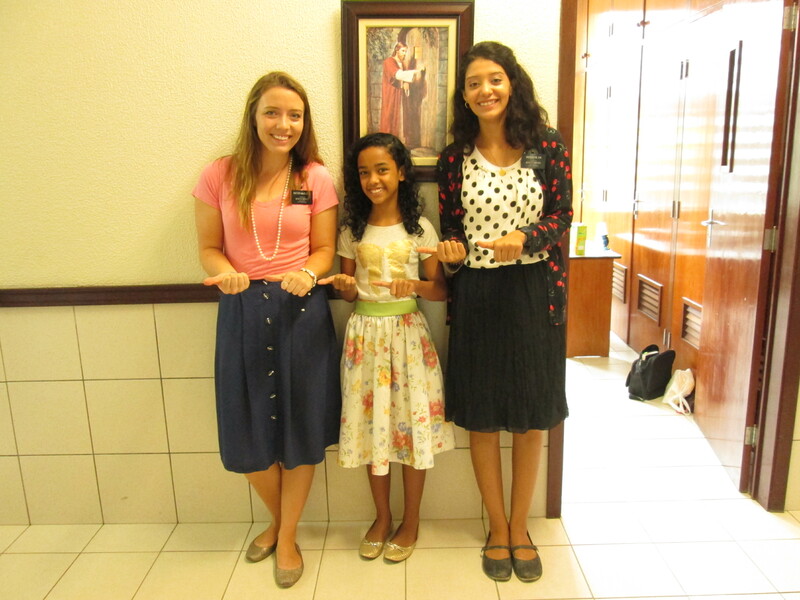 I am not a perfect missionary, person, companion, daughter, sister….but I know that I have a part to play in this plan of our Heavenly Father. My mission is a smidgen of time in that plan. But it will effect the rest of my life so I want to keep doing what I am doing and leave with NO REGRETS. Prayers are answered. 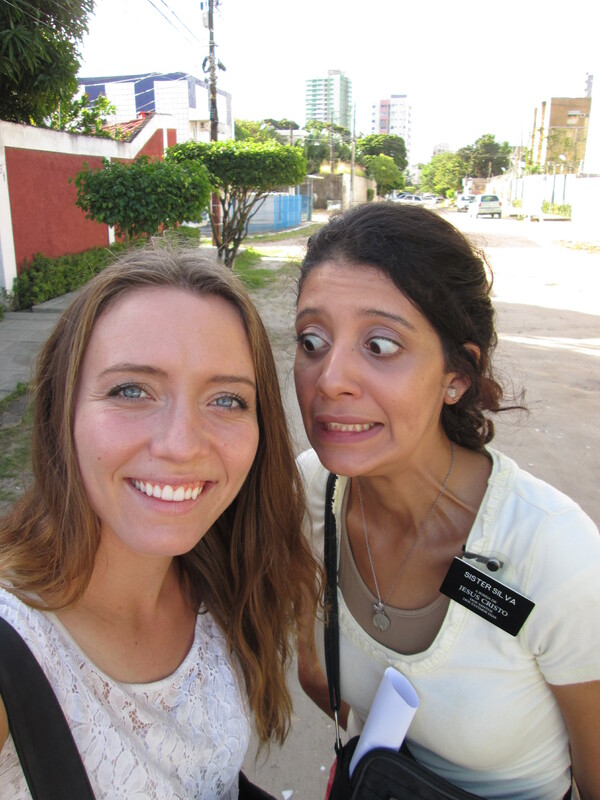 Sister Silva and I fasted this week for Tito and our other investigators but mainly with him in mind. We were teaching Tito and Fatima and Titu was being SO STUBBORN. 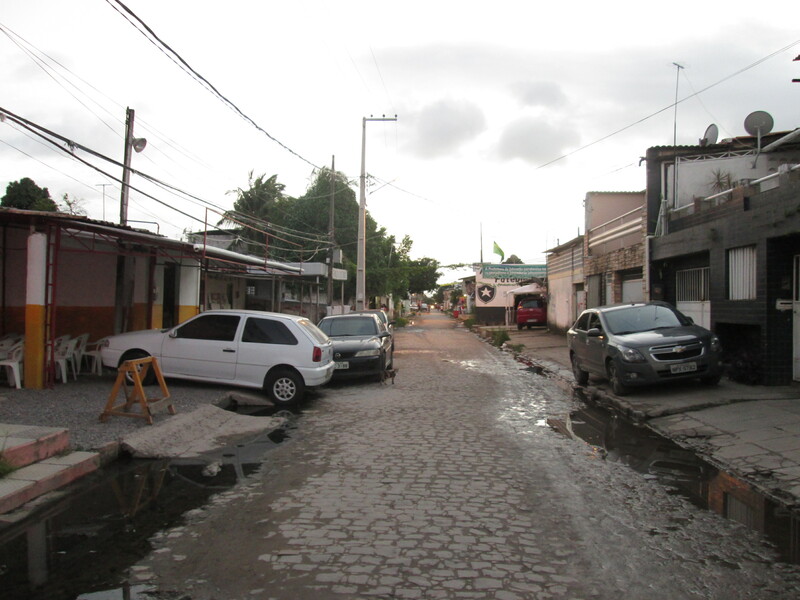 Refusing to recognize tha tdrinking is in fact pecado (sin) and that it is not only hurting himself but also his family. We asked if we could pour his current bottle of Cachaça down the drain to which he responded absolutely not. Satan had a firm hold on him, really tight. However as we know Heavenly Father’s power is and always will be greater than the adversary’s. A couple days later we discovered Tito had had a ceisure(spelling?) and is recooperating now. This is what happens when he hits his limit of drinking constantly. He quits for about 15-20 days because he’s extremely sick and fragile. 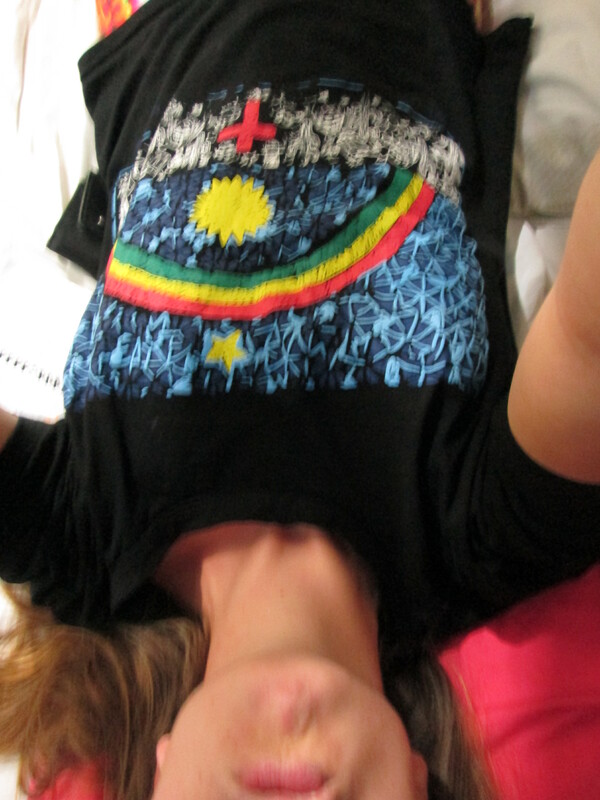 Bed ridden. And then goes back to drinking again. We went to teach him and Fatima almost with a smile on her face said “Tito had a ceisure, he’s fine now but he’s stopped drinking”. We’ll take that. We went in to see how he was and began talking with him. It was incredible of how different he seemed already. Almost like a different person. Alcoholism really changes people. His friend Samuel was there who we had just met and we talked to him a couple minutes. He is the only TRUE friend that Tito has that doesn’t bum off him for money or booze. He’s always been consistent and loyal to their family Fatima told us. As he walked out the door he said “Tito, pay attention, your 2 kids went to this church and were baptized and now you’ve got these 2 sisters here at your side. Everything happens for a reason”. That was pretty sweet as we felt the spirit in that moment. As we talked with him he turned to us in his feeble state and said “oh my dear friends. I know God sent you to me. I’m so sorry for what I said to you last time. You were sent to help me.I know I need to stop drinking. In the name of Jesus I will never drink again. I know that I’ve said this before but I know it’s going to be different because you 2 angels are here to help me”. Fabio was sitting there next to us…you could tell he wanted to believe but was doubtful…that his dad would go through the same routine, nothing changing. It hurt to see the pain he felt, he was holding back tears. We talked about the atonement and how this change was in the hands of Tito, if he really trusted in God as he says he does then he needs to exercise his face and all of his strength to stay strong and not FLIRT with temptation. 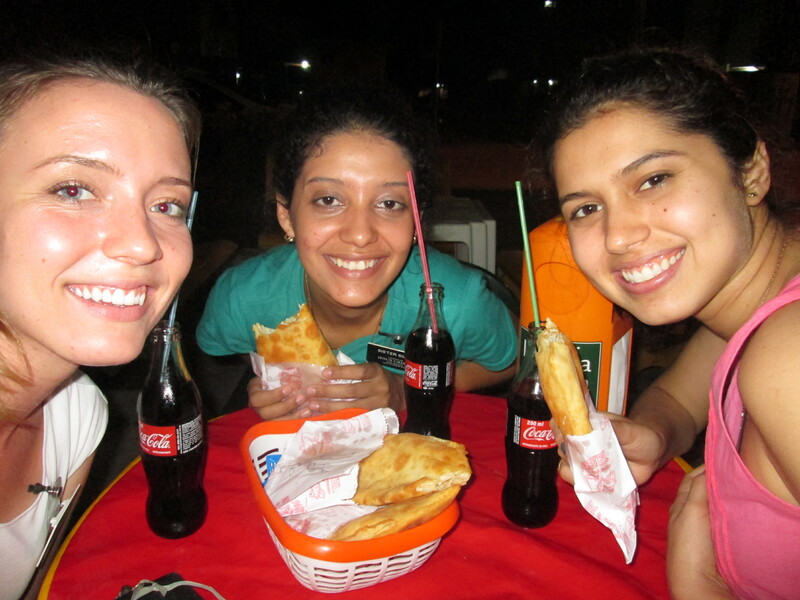 We set goals with him and Fatima and he gave us permission immediately to throw away the cachaça. I poured it down the sink, the smell gave me a head ache. Sick. 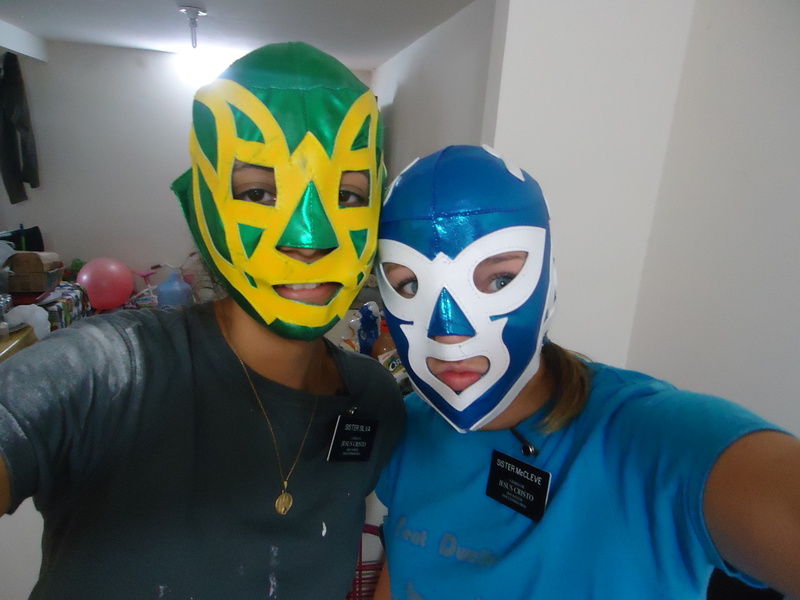 We taught them about temples last night because this saturday our ward is going to have a caravan for recent converts and investigators to visit the temple gardens and for those that can enter to do baptisms. Fatima was really interested. She asked “So do I need to wear white to the temple? Because look, I’ve already got a white outfit….tito on the other hand I’m not sure about” hahahaha so cute. I don’t remember if I’ve already shared but Fatima is catholic but not practicing. She always say’s those decorated prayers that they have in the little books. To Mary and other saints (sorry it’s weird trying to explain this in english). Em outras palavras ela reza DIARIAMENTE. Last night we asked her to say that closing prayer. Ah it was so cute. She said “Heavenly Father, I want to thank you for sending these two girls to my house. To help my family and to help my husband quit drinking. I know that they are helping and so is their church, so thank you. 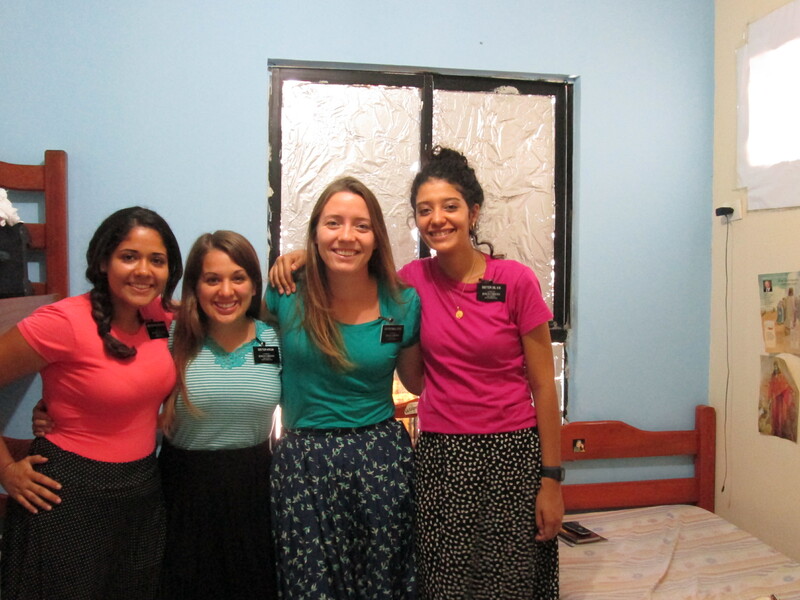 I want you to bring them back here after they finish their missions because they are very special to me. Thank you. Em nome de Jesus Cristo amen”. Once again the spirit was felt and I know that Fatima knows that these things are true. Her and Tito will be baptized, I just know it. Silva and I keep feeling like that’s why we stayed here together was for this family. Please keep them in your prayers. I love them so much. I’m at a loss of words in the moment…I just read many emails and saw pictures of Grandpa Brenchley’s funeral/viewing. President Bigelow called me into the office this week for an “interview”. Threw me off gaurd being the 1st week of the transfer. As I went into his office he told me “I wanted to let you know that your mom called and that your grandpa has passed away. But I’ve got her number right here and she asked me if she could talk to you for a few minutes so I’m gonna have you call her while I step out and you two can talk for as long as you want okay? “. He was already dialing as I sat there in my chair stunned….tears streaming but still in shock. I was surpised to hear how upbeat and peppy mom’s voice sounded which was such a relief to me.I’ve thought a lot this week about the plan of Salvation. I am so grateful for temples. And the sealing power that is exercised in each of these sacred houses of the Lord here on earth. This priesthood power that is REAL. And binds families together forever, never to be separated. NEVER. We teach people all the time about the plan and its a privilege to do so. Especially to give people hope after losing a loved one. Well I guess I had that kind of experience once again for me this week with losing Grandpa Brenchley. I really really loved and looked up to him so much. He always had the cutest nick names that I remember as a little girl. I’m so glad mom and I took that trip down to AZ before I left on my mission to see him one last time. He was always such a go getter, even hearing him grumbling about being bed-ridden in the hospital makes me smile because he had such a bright spirit. 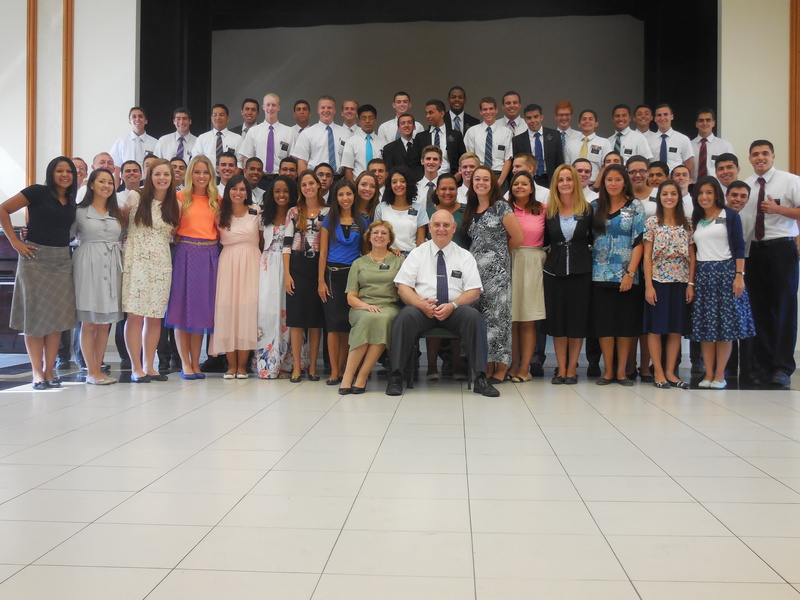 I loved receiving his emails during my mission sharing family history and mission stories from his life. That always meant a lot to me. I know that he is doing exactly what I’m doing right now. Teaching, preaching and inviting others to come unto Christ in the spirit world. This life is but a small moment….and it is precious as we can understand when one life is taken from us. But how grateful I am to know that as real and tangible and living as Grandpa was aqui, he still is there. I have thought about my own conversion that is an ever going process. However I know that as I’m refining myself and striving to become more and more converted to the gospel that I am here for who? Others. This scripture really hit home with me today thinking about the loss of Grandpa. As I was in presidents office after I finished the phone call with mom president asked what he could do to help. I just told him that I just needed to keep going. To keep doing what I’m doing because I can’t accept any other option. President and I talked more and he said that these times are rough in various aspects. One imparticular is when the missionary uses an experience like this to not work. I thought about that a bit and honestly I can understand that the feelings of sadness, vacancy of that person can be distracting and heavy. But at the same time, I like to think of what “that person” would want me to do…how they would want me to react. And with out a doubt I know the Grandpa would want me to get up, brush myself self off and keep going. Go and strengthen thy brethren. That’s what I’m here to do. And oh what joy comes from doing so. It is incredible to see that when you are fighting your own battles, that there are ALWAYS people around you that you can lift up and strengthen. It is the natural man that eats at me….leaving me wanting to think of myself but where does that get us? No where. I love this gospel. I love The Savior and His completely perfect example for us to not just stand in awe but to follow. We are safe and secure if we choose to LIVE His teachings and keep His commandments. I love you all dearly, and I am so grateful for the INCREDIBLE family that I have. I know that Grandpa B. left a great legacy and I am so grateful and proud to be called his granddaughter:) I hope that I can amplify somewhat of his incredible example that he left to all of us. A life of service, joy and work! Have a fantastic week and also I encourage you all to grab a copy of preach my gospel. I gave a talk yesterday on PMG and I know that each and every one of you through prayerful study can receive inspiration as to how YOU can help build the kingdom of God here on the earth. PMG is FULLLLLLLL of doctrine that is taught and explained so clearly. Your testimonie’s will flourish and your understanding of the gospel will grow. That is a promise viu!? Let’s hop to it people! My mind is spinning right now. So much is going on but I’ll try to think here. 1st of all my heart and prayers go out to the Parr family. I am so so so sorry to hear about the loss of Carson in the car accident. He was such a sweet kid. But how grateful I am for the plan of salvation that we know is real. The power of the priesthood that we have in the church that LITERALLY binds/seals families on earth AND in heaven. The plan of salvation truly is the plan of our Loving Heavenly Father. And it’s times like these that we realize that it isn’t some fairy tale. But a hope that we can have, that our families can be together forever, that death is not the end. It is simply a transition from mortality to immortality. How grateful I am to teach people about this plan that gives us all hope. On a lighter note we had a baptism this weekend! And 3 investigators at CHURCH YES!!!!!!!!! Fabio was baptized and confirmed 🙂 It was awesome. Next step is receiving the priesthood and well, my hope is that he will serve a mission. We’ll see 🙂 He would be awesome! As for Fatima e Tito-they are awesome!!!! I love this family so much. Tito sadly was drinking a ton to the point where he couldn’t go to the baptism/confirmation-bummer. But we’re going to keep teaching them about faith and repentance! Preach my gospel has some awesome counsel with helping people overcoming addictions. I am grateful to be able to help others turn AWAY from sin and come unto Christ, as hard and sometimes irritating as it is to watch people ruin their life, the love I feel for these people makes it worth it. This is a smidgen of what the Savior felt for each of us (or feels, rather). We have some other new investigators this week one quick story I want to share. 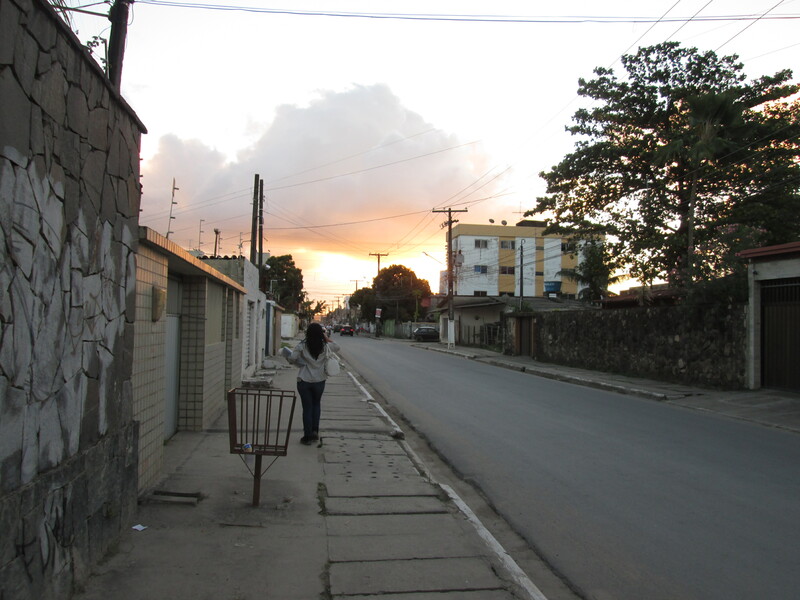 Sister Silva and I once again were walking after almoço headed to an investigators house when I saw a woman sitting on the sidewalk. I had the impression to greet her and as she smiled kindly at me I stopped and began talking with her. She said we could share a message with her and we began to teach her about the restoration. As we taught about the 1st vision she said “can I just just tell you guys something? today I was really upset and lost, and I came outside of my apartment to sit and think. I was praying to God for help and for an answer that would help me in my life. As soon as I finished praying and looked up you were standing in front of me. I didn’t even see you on the street before! I know that this was an answer from God”. Her name is Jaqueline and she is very special. We got her number and address and will be going back to teach her this week. I bore my testimony yesterday because I hadn’t last month and I wasn’t sure if I would be transferred or not. As I sat on the stand I felt such a strong love for the people in this ward. Today we had transfers and I will be staying with Sister Silva in Candeias still WOOOOO! I know the Lord has more work for us to do here and I am STOKED! It was really weird seeing a TON of missionaries leaving today/sharing their testimonies at transfers etc. I just couldn’t believe it. Time goes by so slow and yet SO fast on the mission haha. I am MORE than determined to make these LAST FINAL 6 weeks count. Working harder and harder rather than simply enduring to the end…dragging myself along. I love the Lord, I LOVE being HIS servant. As imperfect and weak as I am I know that HE is my strength, in HIM I can stand up after I fall and keep going. I am here for HIM. I chose that before I came out and it is still embedded in my mind. Nosso proposito. Eu amo esta obra. 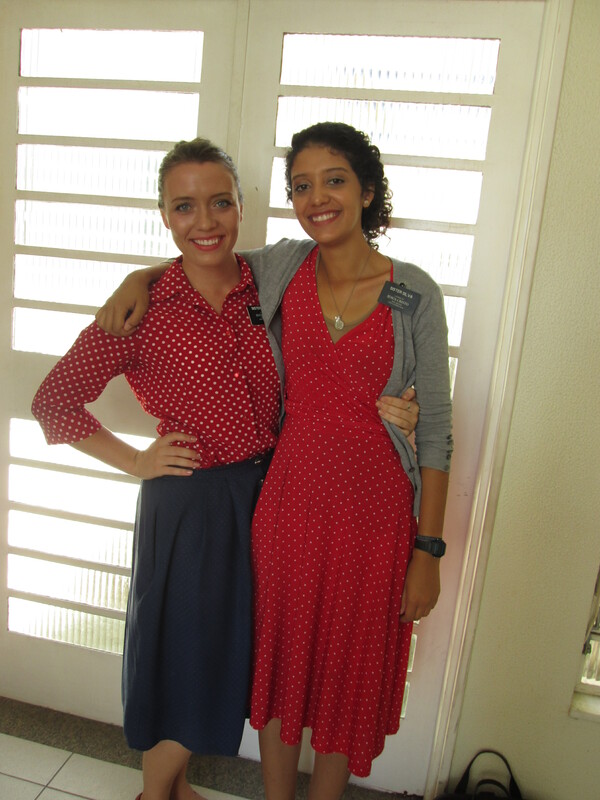 Sister Dana and I Same MTC district! Well this week was pretty awesome, first of all we have a new family that we are teaching! Sadly Marisa seems to be bailing on us…but we’ll keep trying SHE IS PREPARED!!!! Also Giomar-another new investigator (who lost her husband to cancer about a year ago) we found this week! She is pretty neat, a cute lady with short black hair, glasses and lipstick like Sister Mama Mayo(in michigan). 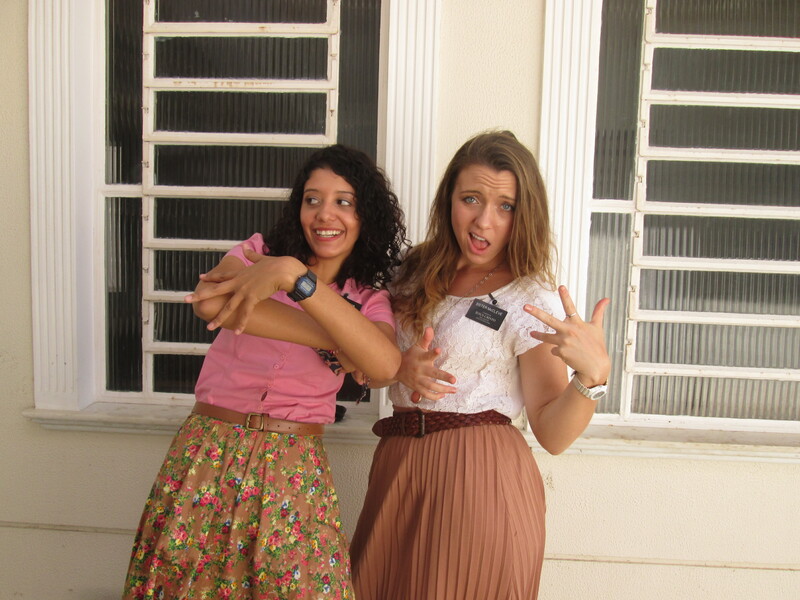 I feel like she’s just the brazillian version of her, it’s funny when you find people in another country that remind you of someone back home. Crazy. I Miss the Mayo Family 🙂 Shout out. ANYWAYS going back, we taught Giomar the plan of salvation. She is still really sad and lonely missing her husband. She told us the following day that she dreamed about her husband for the 1st time since he passed away. She dreamt that he was happy and they were together, happy and healthy. She was shocked because she said she misses and thinks about him ALL the time but never dreams about him. She said she woke up that morning afeeling strong and courageous….that the Lord was there and hadn’t forgotten her. I love being able to witness these kind of moments. The Lord is aware of us, and I know that the restored gospel is true. She didn’t come to church sunday but we will keep working with her, hopefully she can come next week. Okay sooo our family we have. YES A FAMILY AHHHHHH! I think I may have mentioned them already….not sure but I’ll be quick. 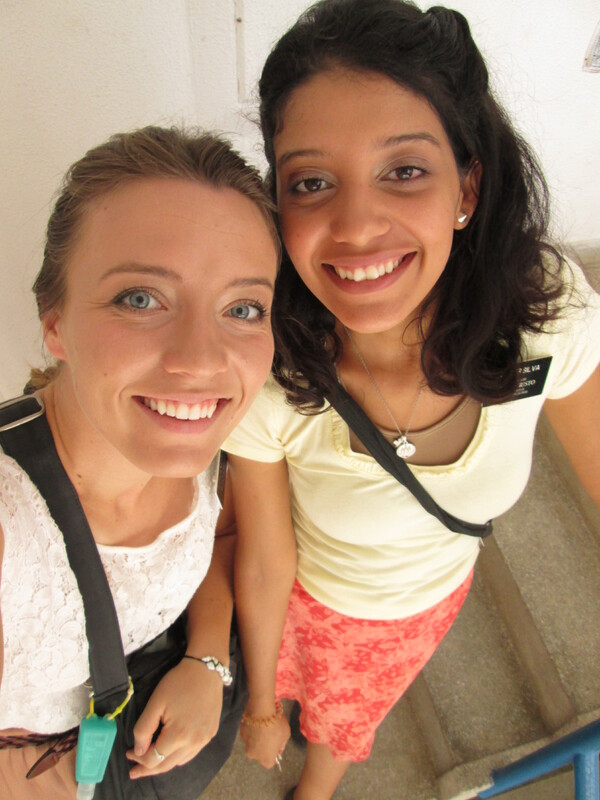 First of all the daughter Fabiana (22) had been going to another ward with her member friend and was baptized there a few weeks ago. 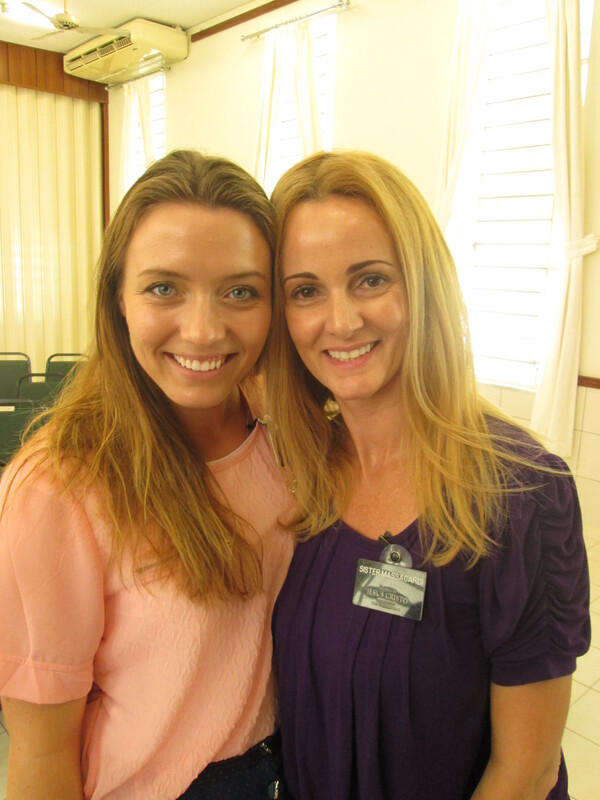 Her twin brother Fabio has interest in the church and we began teaching him along with the rest of the family. Ailton He goes by Tito (like-Chee-toh haha) and his wife Fatima and their other son Neto. Tito drinks…a lot. He’s an alcoholic sadly and has a hard time recognizing that this problem is affecting his family. He is suppppppper funny and really nice. He just talks a lot hha. Fatima is catholic but not practicing, she appeared to be REALLY catholic in the beginning but I think she’s more of a catholic “because my parents were/we were raised catholic” sort of deal. She wants more than anything for Tito to stop drinking so since Fabiana was baptized (the whole family went/watched her baptism) and we started coming she’s been becoming really receptive to us. I know she knows we can help Tito and of course the whole family. Well long story short they all went ot our ward sunday 🙂 and liked it a lot! Also Fabio accepted to be baptized this saturday!!! It’s hard because he works and studies but we will be following up and helping him as best we can. Fatima and Tito also accepted to pray about baptism in which they both said they will once they know that these things are true. We’re going to work with them, especially Tito….we are praying that he can overcome this addiction. I know the Lord will help him if he is willing! Also this week the power went out in our area 2 times. Once was when we were out on the street, the elders told us we needed to go home and stay there because it’s not safe-obviously everything was black. The 2nd time was during a lesson….and WHERE WERE WE TEACHING THIS LESSON???? La na communidade!!!! Right in the middle of the favela hahaha. I was talking about….I don’t even remember, I think prayer, and all of a sudden shooooooooom everything shut down/went black haha. We finished our lesson with Nina-Luciclede (other investigators) and asked if they could walk us to the main road which they gladly did. We had to use our cell phone to light the street in front of us because we literally could NOT SEE anything haha. The power went out in about half of our mission that night. We lit our candles in our apartment and had a sleepover 🙂 Good times. I hit my 16th month mark yesterday. Crazy. 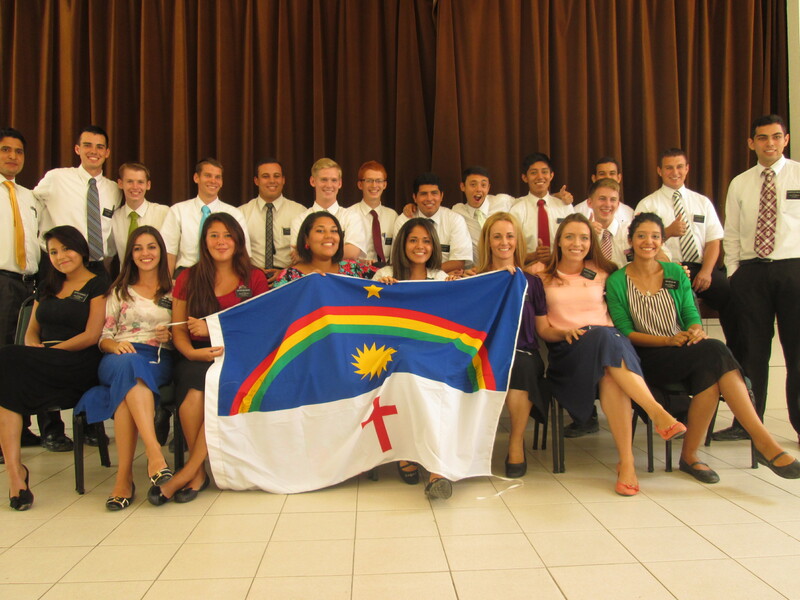 I’m not really trunky though…I’m the oldest missionary in my zone. Weird. I won’t dwell on the topic. Welp love you all, transfers next week we’ll see what happens! Well I am happy to announce that this week was MUCH better compared to last. I am hoping and praying that it will just continue to get better after that slump. 2. Often we are trying to row with oars on a sail boat. 4. It will always hurt when those you love don’t make the right choices. (recent converts,investigators etc.) But you should never stop loving them. You may be disappointed in their choices, but never stop caring/close yourself off. When we begin to not care we should have a little red flag go up. 5. My success as a mission president is not measured by how many baptisms we have or # or stakes created while I’m here….it is measured/counted by how you missionaries are doing in your lives 20 years after you return home for your missions. 🙂 I didn’t even end up opening my planner. The Lord truly calls His servants to go and do exactly what is needed. Done deal. Some other cool little things happened but for the sake of time I’ll just share sunday’s bomb squad experience. 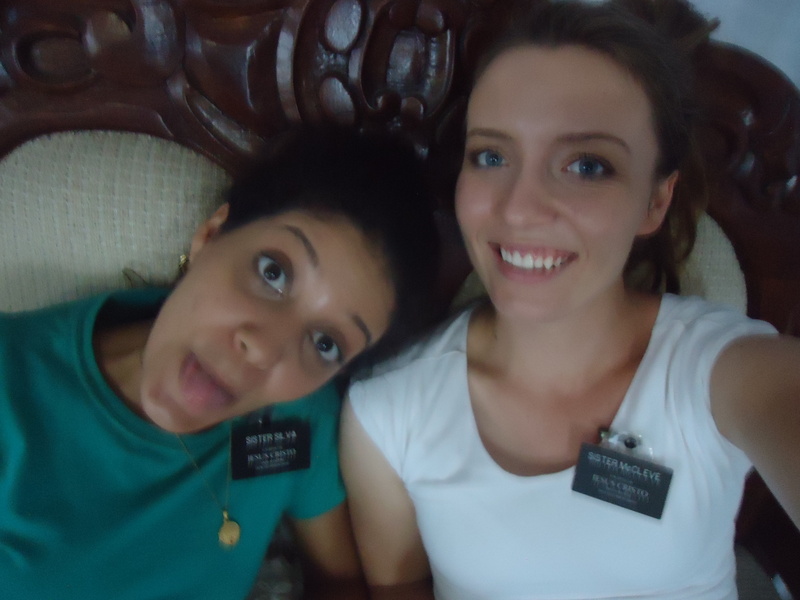 Sunday was the Sister Sunday. Haha in sacrament meeting we gave talks and I sang I’ll go where you want me to go…. it was really awesome. 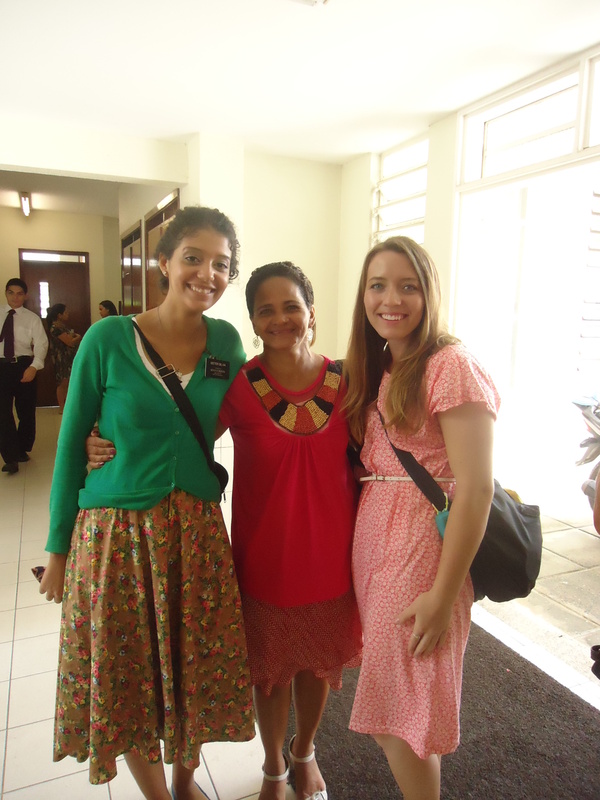 Sister Silva’s talk was FREAKING AMAZING. I’m so proud of her. We are really bonding btw. I love her a lot. Sometimes we have our weaker moments but we let it go and move forward. Our companionship is really united I feel like. It’s awesome. I think we’ll probably stay together until I head home but MAYBE she’ll end up training because she’s such a studdddddd! ANyways love you guys so much and thank you for all of your prayers, love and support. Things are looking up. We just need to get some people ON DATE for baptism!!!! !